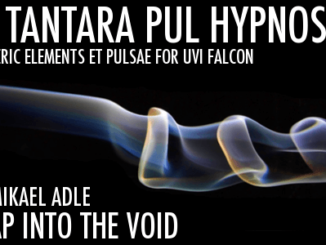 Software modular Synthesizer for PC & Mac exist many on the market (Softube MODULAR, VCV Rack…). One product stand out since years: Reaktor from Native Instruments. It’s not only the very good sound quality but the very strong community behind this software Synthesizer. 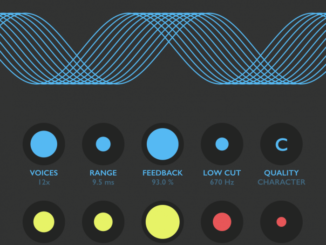 They publish almost daily new high-quality ensemble instruments, effects & MIDI devices in the user library and make them available to the Reaktor users for free. In the latest Reaktor 6 Discoveries episode, the Infrastructure Synthesizer from 2014 was tested and could convinced me in the test. 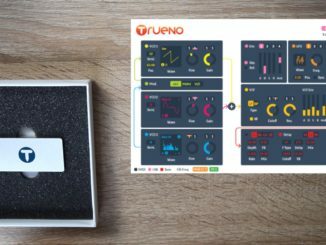 It’s a simple but powerful virtual analog Synthesizer with FM & cross-mod possibilities, 3 envelopes and 2 LFO’s. 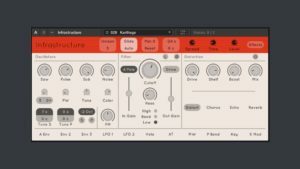 I can highly recommend Infrastructure to all musicians who search a simple but effective subtractive synth for Reaktor 5 & 6. This is a fairly simple synth with a versatile oscillator section and a characterful filter. A spreadable saw, a variable-width pulse, a smooth sub oscillator, and a filtered noise source are sent through a saturated feedback filter. Envelopes, LFOs, and various expression controls are available to modulate and morph the sound. Then the output is routed to a warming distortion, a stereo chorus, a feedback delay and a lush reverb. Over 120 snapshots are included: mostly basses, leads, and pads, with a few other sounds thrown in as well. And a simple, clear layout makes it easy for you to create your own sounds. Enjoy!